We had several customers reach out to us recently about the best approach to clean their email lists, which inspired this blog post. It’s a common industry problem. As many as 75% of subscribers on your list are inactive. You may not know it, but inactive subscribers drag down your sender ranking and impacts on your deliverability. It’s important to remember behind each email address is a person, and just like you, they are always on the move. People can be changing jobs (and getting new work email addresses), switching email accounts, and evolving their interests. Even if you include an unsubscribe link – as required by law – subscribers don’t always click it. Left unchecked, your list will be riddled with inactive and bad email addresses leading to high bounce rates and low open rates. As a result, deliverability falls and in turn your sender rank will be downgraded. It’s a vicious cycle and one that’s notoriously difficult to break. 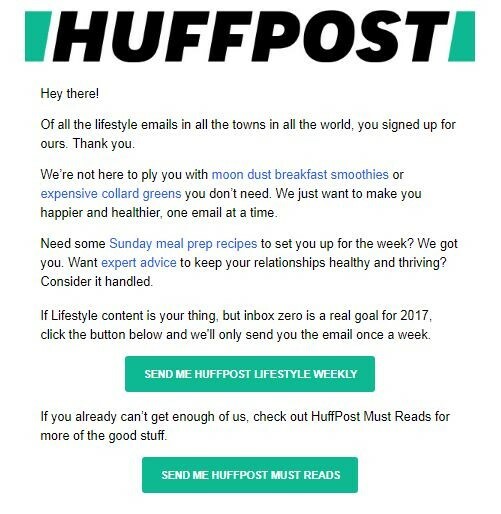 The email from the Lifestyle team lines out exactly what the subscriber should expect. It also gives them control over frequency. This level of engagement ensures subscribers receive the emails they specifically wish to see. It’s an overall good practice and a sustainable and efficient way of growing your email list. Download our FREE PDF with our 7 Killer Reactivation Emails! The only way you should grow your list of subscribers is by getting them to sign-up voluntarily. As with many things done well, it takes time and patience. Purchasing lists is a one-way ticket to the spam folder. Even if those subscribers have given third-party “permission,” they are far more likely to be inactive, or worse, block you. Email service providers (ESPs), including MageMail monitor lists closely, and can detect when a client is using a purchased list. It can be tempting for a new business or start-up to buy a list for marketing purposes. But it’s a major faux pas. It will not bring any revenue and can severely damage your sender reputation before you even start. Instead, focus your efforts on winning over potential subscribers with incentives, easy signup forms, and preference centers – much like Huffington Post. You can also use scroll triggered pop-ups to collect emails, like those offered by our GrooveJar toolset. This increasingly popular tool initiates a pop up once a reader has read 70-80% of a page, meaning they are interested in the content, and making them a quality subscriber. Of course, if you have this feature set already, ensure this only pops up once per visit and never for people who have already signed up. Another smart way to ensure a high level of engagement is to use double opt-ins. While each of the previous steps help to ensure you build a healthy email list, you still need to keep on top of it. Even the best prepared list of subscribers can go stale. 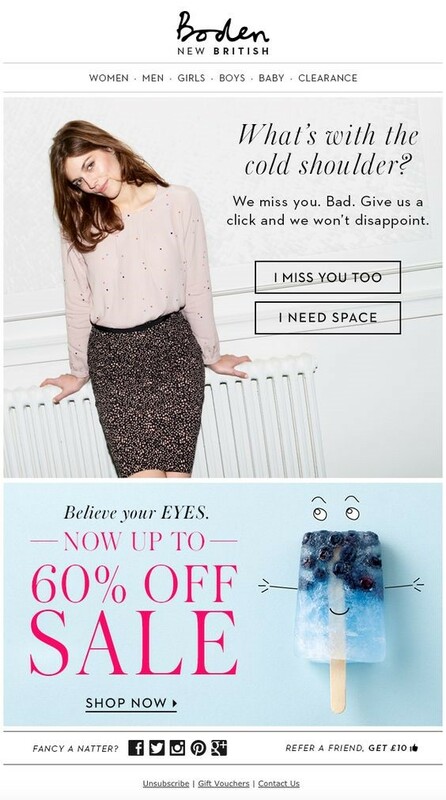 You need to think carefully about which type of emails your subscribers would like to receive. If you have already set up a preference center, this should be an automatic process. Subscriber B: Highly engaged with all emails, including newsletters and promotional. With Subscriber A, you should keep on sending the newsletters but drop their address from other emails. If you are keen to keep them on, send them an exclusive deal to entice them back into promotions. 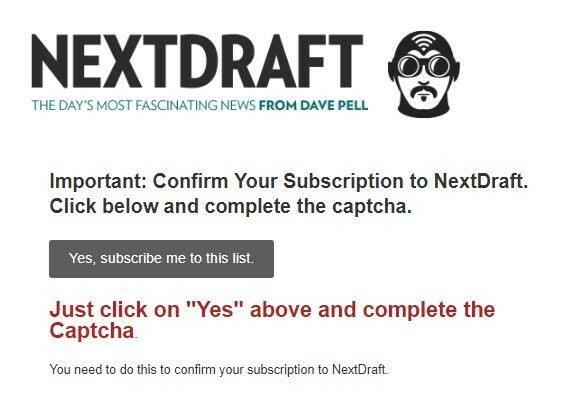 Should this fail, it makes no sense to keep sending any email other than newsletters. Subscriber B is happy to receive emails from your business. In fact, you should ask yourself if they are getting enough. If you send more than one email a day then the answer is yes. If it’s only weekly or monthly, then can you generate more revenue with more emails? For Subscriber C, it may be safe to assume that they’re lost forever. But consider sending a last win-back campaign. If they still do not respond, then they are damaging your email list and it’s time to delete them. The principle is to respond to the activity of your subscribers. Note that our new version of MageMail now includes a major update to the Email Editor, in addition to easily creating and styling emails from out-of-the-box campaigns, you can also send those emails to very specific segments. 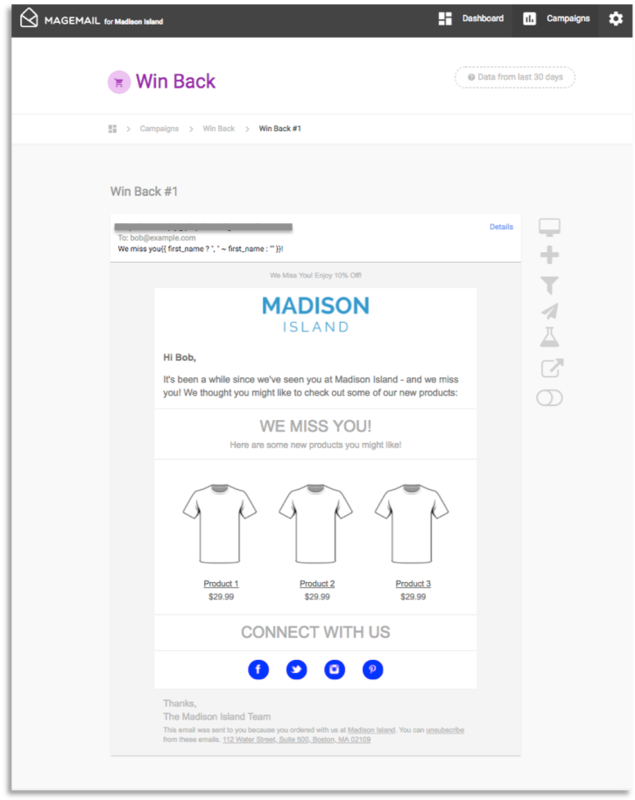 And lastly, here is an example of the Win-Back trigger, which allows you to send an email out to customers that haven’t purchased in some time, to re-engage them by highlighting new products to win them back without any discount or incentive. Most ESPs will clearly show the types of bounce in their post-delivery reports. It’s then up to you to take action accordingly. If an email address has indicated a hard bounce, then it should be deleted from your list immediately. An email address with a soft bounce on the other hand, deserves a second or even third chance. Look into the size of your message and reduce it if necessary. A scenario can also be that the recipient may have been on vacation or out of office and neglected to update their inbox. If the email address continues to consistently indicate a soft bounce for three months, then you should consider deleting it as it’s likely the recipient is no longer using it. Throughout the campaign, you should make it clear the recipients have the opportunity to unsubscribe. Keep the tone friendly and engaging at all times. Use catchy subject lines to grab the attention of subscribers and entice them to open the email. 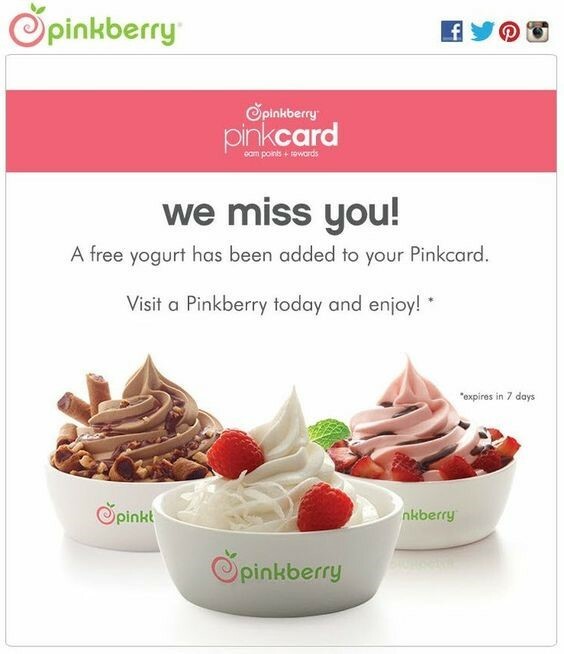 The offer of a free yogurt is a great way to try and entice subscribers back. There’s also a deadline of seven days, which adds urgency. It’s also useful for the brand, because it sets a time frame for the recipient to respond. If they don’t, then a follow-up email can be sent. And once that happens, it’s time to let them go and lighten the load on your email list. In the ideal world, you should be maintaining complete control over your email list. After all, you or your marketing team will know your subscribers better than anyone. However, there may be a limit on amount of time and resources. Email Validation: This detects bad email addresses (incomplete, spelled incorrectly, or non-existent) and prevents them from joining the list. ESP Integration: Good email list cleaning platforms should integrate with most major ESPs. Detect Inactive Subscribers: As well as validating email addresses, they should be able to detect inactive subscribers – making easier for you to fish them out. NeverBounce has over 50,000 clients using its services. The focus is on deliverability, and if you get any higher than a 3% bounce rate using it, you’ll get your money back. 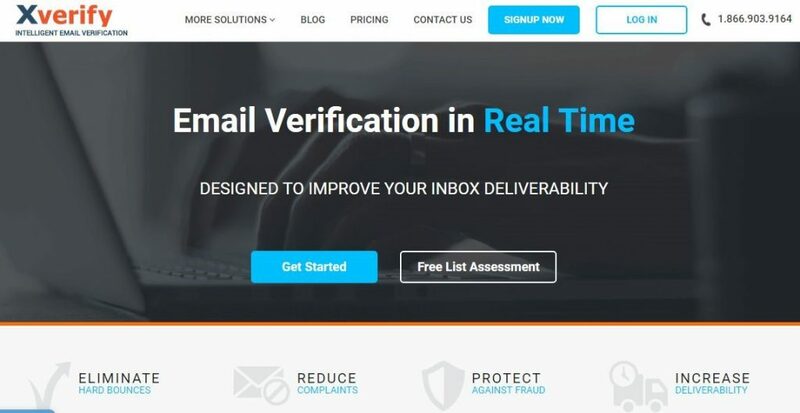 XVerify aims to help your emails avoid the spam folder of consumers. It also offers protection against fraud. In email marketing, it’s far better to have a healthy list of 10,000 subscribers than 12,000 with 2,000 bad email addresses. It’s important that you clean them out. The first step should be the preventative approach. 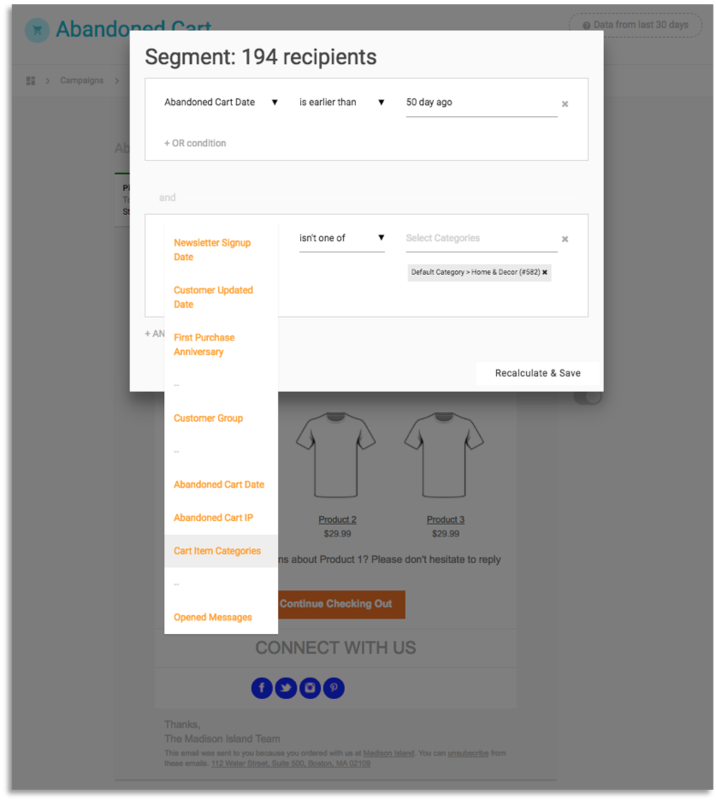 Use preference centers as signup forms, to give potential subscribers complete control over their interaction with your brand. Double opt-ins help to validate email addresses and scroll-activated pop-ups to invite engaged readers. Whatever you do, avoid using purchased lists. Then you need to maintain the health of your list. The number one way to keep your subscribers engaged is by sending them high quality, relevant content. Ensure that you segment your emails, tailored to those most likely to be engaged. ESPs provide plenty of data for you to analyze, and test different emails to monitor performance. If you start to find your bounce rate climbing and inactive subscribers creeping up, you need to take action. Remember the difference between a hard and soft bounce. Don’t give up on the subscribers that have shown the latter – it’s usually for a temporary reason. Adjust your email and try again. Don’t give up on inactive subscribers straight away either. Try winning them back through a series of reactivation emails. If this doesn’t work, then it’s time to let them go and streamline your list. There are also a number of tools available online that can help manage your list for you. They can help validate email addresses, support drip campaigns to entice inactive users back, and prevent fraud. The importance of a healthy, up-to-date list cannot be overstated. It’s far more cost-effective to send emails to highly engaged subscribers than one full of bouncebacks. A high bounce rate will lead to a downgrade in your sender rank, which in turn affects deliverability. So, get on top of your email list today to ensure it delivers straight into the inboxes and drives revenue for your business. And, if you’re a MageMail customer and would like more guidance, give our Customer Success team a shout. We’re happy to help. Thank you for your article it is very great and well written. I am also using an email validator and it is great. It is very easy to use and it gives you a trial of 100 email. They have a very good system that can detect spam traps and also invalid emails and catch-all. Also, their API is great.